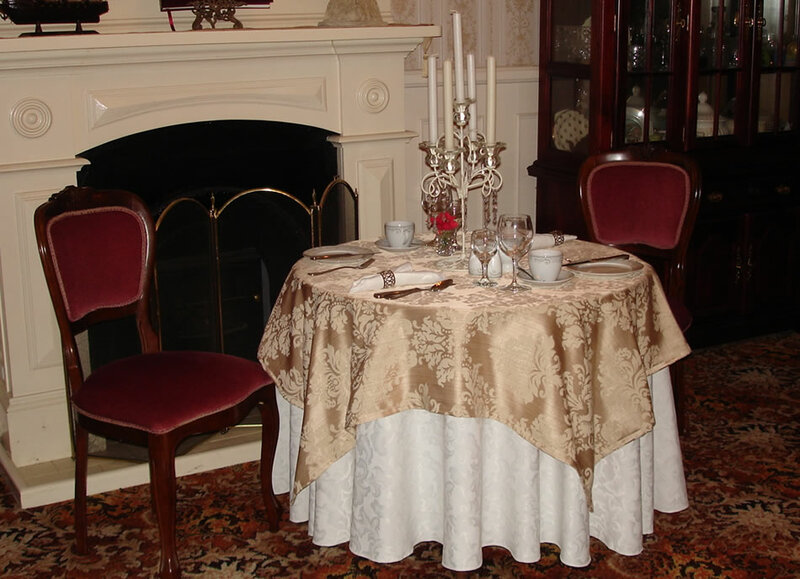 Originally the tea house for the historic “Pioneer Village” the formal dining room has been refurbished to reproduce the elegance and authenticity of dining at a grand manor. With the 12 foot high ceilings and old world chandelier above there is a feeling of dining with royalty. The Dining Room is furnished with an authentic Victorian fireplace, grandfather clock, historic sideboard and offers an individual table for each guest room. 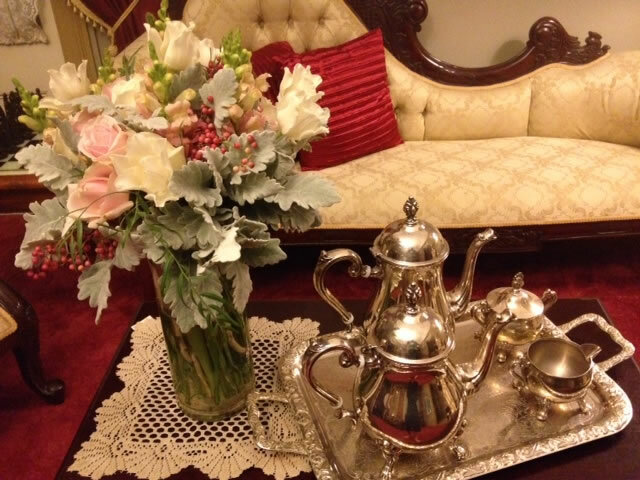 Small touches such as white linen tablecloths to the floor, freshly polished silver ware from yesteryear and relaxing background music all add to the experience. 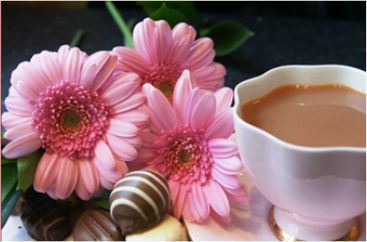 Our aim is to give you a breakfast experience to remember! You are free to choose your hot cooked breakfast from the a la carte menu which is given to you on arrival. As you are waiting for your meal to be prepared by our chef you can fill in the time by helping yourself to our extensive continental buffet with cereals, fresh fruit, yoghurt, juices, breads, buns and a variety of jams. 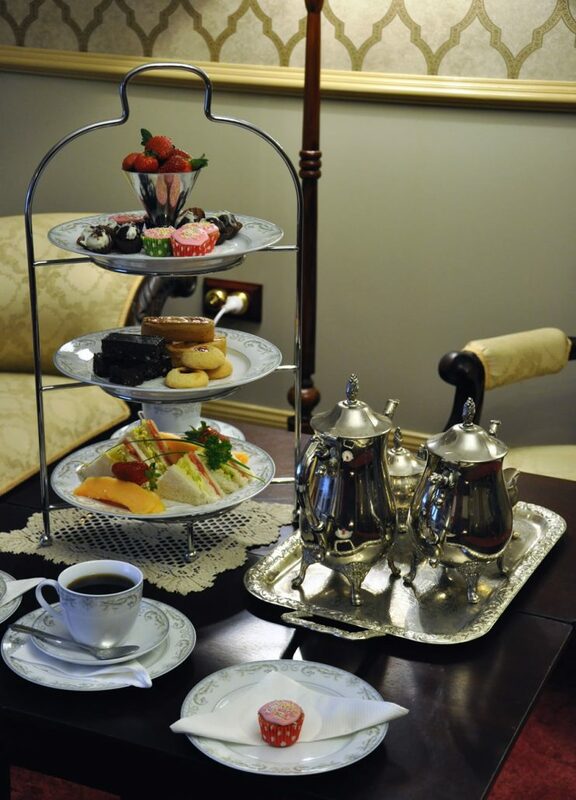 Tea and coffee is served at your table in our polished silverware. One thing is for certain… you wont go hungry! Check out our menu here. We believe that this is one of the coasts exquisite dining experiences here in the “Chandelier Room” at Bli Bli House. You create your own meal from our three course dinner experience. Our award winning chef has included some of the local produce for you. Its not often that you can sit and enjoy a romantic candlelit dinner for 2. We are not open every night so it is essential to confirm/book that the dining experience will be available prior to your arrival. A sample of the dinner menu is included.